John Wall, a professional Basketball Player from the USA. 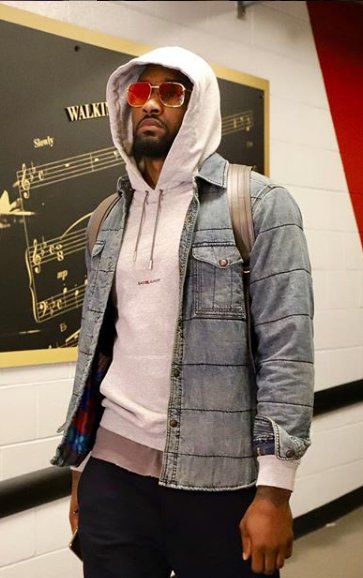 His Birth name is Johnathan Hildred Wall, Jr. and his Nickname is John Wall. He is widely well Known for his blazing speed and explosive athleticism. He spent his childhood in poverty and he was constantly rejected by the basketball authorities not because of his talent but due to his rude and violent behavior. Over the years John Wall has changed himself to become the rising basketball star. In NBA history, Wall became the second player to record a triple-double in his first 6 career games and he earned wide recognition as well as several awards and honors for his outstanding skills and he is honors with NBA All-Star continuously for four years since 2014, All-NBA Third Team in 2017, NBA All-Rookie First Team in 2011, etc. He was constantly rejected by the basketball authorities not because of his talent but due to his rude and violent behavior. Over the years John Wall has changed himself to become the rising basketball star. John Wall, a professional Basketball Player was born on 6th September 1990 in Raleigh, North Carolina, USA. His birth sign is Virgo. He was born to father John Carroll Wall Sr. and mother Pulley and grew up along with his siblings named Cierra and Tonya. When he was 9 years old his father died of liver cancer which made his mother worked multiple jobs to support a family. He was interested in basketball from his childhood and played during his days in Garner Magnet High School. He also played at Needham B. Broughton High School and Word of God Christian Academy and won several matches. After graduating high school, he was recruited by the University of Kentucky and later at the University of Kansas. His outstanding basketball skills earned him the University of Kentucky Athletics Hall of Fame. John was recruited by the Washington Wizards in the 2010 NBA draft. He was the first overall pick by the Wizards. He made an impact in his very first tight regular game against Miami. He made his NBA debut against Orlando Magic in which his team lost 112-83. He managed to score 14 points. He created another record in his third game for being only the second player in the NBA history to get 9 or more assists in each of the first three games. In the 2011-2012 seasons, He played and started in all the games of Wizards. He suffered a knee injury at the start of the 2012-13 season and was forced to miss the beginning matches of the season. He returned to the court against Atlanta Hawks. His performance was met with a standing ovation by the crowd. He scored his career-high 47 points against Memphis Grizzlies. In 2013, He signed an extended contract of $80 million with the Wizards for 5 years. On February 27th, 2014, with the help of Wall’s 31 points Wizards won a triple overtime game against Raptors. It was the first triple overtime game-winner for the Wizards since 1975. In 2015, He recorded career-high 17 assists against win over the Bolton Celtics. In July 2014, He was selected to the U.S national team to compete in the 2014 FIBA world cup. Moreover, He also won SEC Player of the Year, All-SEC First Team, AP NCAA All-America Co-Freshman of the Year, USBWA All-America First Team, USBWA All-America Freshman of the Year, Sporting News NCAA All-America First Team, and much more. John is a successful NBA player who has a tremendous amount of wealth and obviously, lots of girls are dying to date and marry him. He won a heart of millions of people but only a few were able to win his heart. He dated Hazel Renee, Kash Barb, Danielle, Keyshia Dior, Karrueche Tran, and Darnell Nicole. But the good news is he currently single. NBA Player John met several girls but didn't meet a girl with whom he can marry and be together forever. Though he is too busy with his NBA career, he is also looking forward to meeting his future wife having a good heart and strong support. The man has openly acknowledged his reluctance to be in a faithful relationship and there are no confirmed rumors about his relationships. 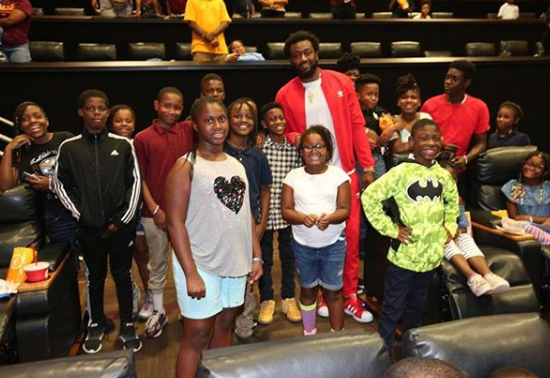 John wall is actively involved in community services involving children. He once surprised 200 kids with a secret autograph signing ceremony. In a recent survey, it was found out that the Wall’s twitter account is the 5th most followed account by the NBA players. He earns the huge sum of money in his career. His outstanding basketball skills won the heart of millions of people as well as earned him a good sum of wealth. His contract with Wahington Wizards was $24,000,000 whereas his salary in 2010 was $5,100,000, $4,400,000 in 2011, $5,900,000 in 2012 and $7,400,000 in 2013. He is believed to have a net worth of $22 million. The Washington Wizard superstar who is also signed to a few sponsorship deals recently signed a four year, $170 million contract extension and is projected to earn an annual salary of $19 million. He has been acknowledged to be one of the fastest players in the NBA, a trait that comes with his 6 feet 4 inches height, a weight of 210 lbs. (95 kg) and a wingspan of 6 feet 9.25 inches. His chest size is 47 inches (119 cm), biceps is 15.5 inches (39.5 cm) and waist is 32 inches (31 cm). He has a Dark brown hair color and eyes. His shoe size is 13 (US) or 46 (EU). He became the second Basketball Player after Magic Johnson who recorded a triple-double. In 2014, he must have been competing for the national team at the 2014 FIBA Basketball World Cup. However, his knee surgery an off-season he was forced also to opt out of participation in 2016 Rio Olympics. Before the 2014-2015 season, Washington re-signed him to a 05-year deal worth $84.8 million.